The H Promise @ Hyundai of Goderich Dealer ON. If you’re looking for a top-quality used Hyundai vehicle at an affordable price, you are in the right place! Find what you need, whether it’s a used Accent, Elantra, Sonata, Tucson, Santa Fe, Veracruz, or Veloster as well as many other quality pre-owned Hyundai vehicles! Life is unpredictable, but your vehicle shouldn’t be! 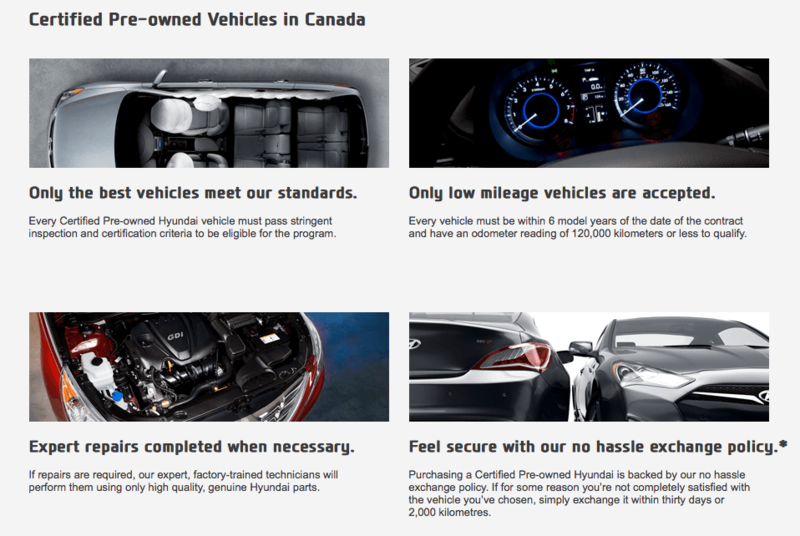 This is why vehicles that are part of Hyundai’s H Promise Certified Pre-Owned Vehicle Program must meet the highest quality standards. Don’t take any chances and offer yourself peace of mind with an H Promise Certified Pre-Owned car! 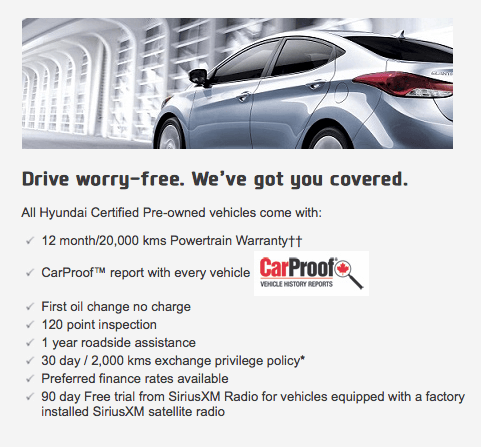 Please do not hesitate to contact us at Hyundai of Goderich to learn more about The H Promise Certified Pre-Owned Vehicle Program, available warranties, financing and the availability of models in stock.